Life’s uncertain. A freak accident while on a pilgrimage, a life threatening disease, the demise of a loved one and you are reminded of the absolute uncertainty of life. Questions like, “Who will take care of my parents?”, “Will my wife have to go back to work?’, “Who will provide for my children? don’t take a moment to loom large in our minds. Time and again, we have heard of amazing stories of people who have had close encounters with death. Yet the reality doesn’t settle in when it comes to facing one’s own demise. 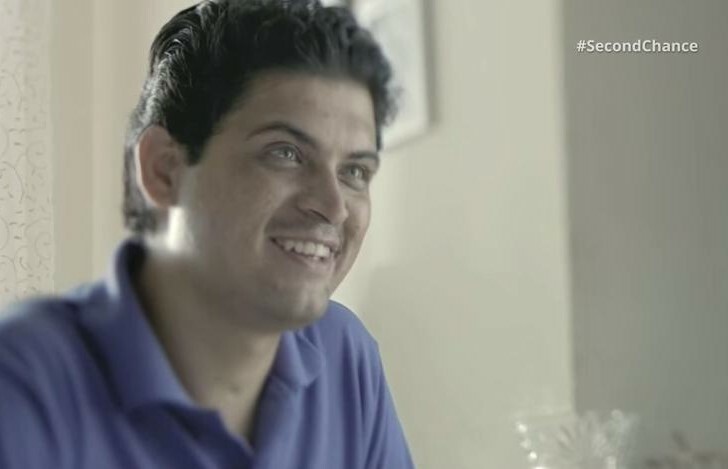 Max Life Insurance takes a realistic approach in its latest campaign titled ‘Second Chance’. A joint venture between Max India and MS, the insurance brand is hoping to initiate awareness on the importance of life insurance through #SecondChance. Max Life’s Second Chance brings forth true stories of people who have had a close encounter with death and how it jolts them into realization and not take their lives for granted. Partnering with creative agency Ogilvy & Mather, Delhi and digital agency Flying Cursor for this storytelling campaign, the insurance brand has chosen to leverage the social internet to spread second chance stories of Avani Bhati, Dr. Raj Anand and Shalabh Goglani, all of whom have had a very close brush with death. All the films are housed at the Max Life ‘Second Chance’ website. Apart from these short stories, the website also provides information on the Max Life Online Term Plan and how it can help secure one’s family and also about life cover options available at Max Life. This is the real story of Avanti Bhati who has had a second chance at life. The realization of what she meant for her parents and her sister dawns on her to take action. Protecting her family turned into a priority following which she can now breathe a sigh of relief. Dr. Raj Anand is a seasoned marathoner who believed he was immortal. The loving father and husband was taken aback after surviving an unexpected heart attack. He shares his miraculous story of a second chance at life with story inputs from his colleagues and family. Shalabh Goglani is an IT professional who took his life for granted until a near fatal accident makes him realize how precious he was for his family. The story includes inputs from his wife and parents too. The campaign is leveraging the power of social media to spread the stories; each of the video stories can be shared on Facebook as well as Twitter. Additionally, the insurance brand is reaching out to people who have had close encounters with death and urging them to share their stories. The campaign website provides a section called ‘Submit your story’ where one can include their second chance story. One needs to login with their Facebook, Twitter or Google Plus id and enter their second chance story in the box provided. On the social front, the insurance brand is also tapping into the communities of influential bloggers. By getting influential bloggers to share their second chance stories, Max Life is generating more awareness with the help of users’ stories. These blog posts are being shared by the social media pages of Max Life, ensuring the awareness drive spreads extensively through social connections. The social media properties of Max Life are being leveraged to drive fans and followers to the campaign website. Powered by the second chance stories of Shalabh Goglani, Dr. Raj Anand and Avanti Bhati, users are being sensitized on the importance of life insurance. Meanwhile, the content shared is also building social buzz around #IfIGotASecondChance. One may question the brand’s intention of bringing out real stories of close encounters with death. One may accuse Max Life of instilling fear in consumers and feeding off their insecurities, but that defeats the very purpose of life insurance. Fearing for your family’s safety after you are gone will make you act, will make you aware on the need for insuring your own life. Through #SecondChance the brand has leveraged the power of real stories as opposed to commercial films (like a few other life insurance brands). #SecondChance has been designed for sensitizing users on social media and having them share the stories with their social connections. The flow back to the website ensures viewers also take action to insure their life with Max Life plans, while they spread stories. The social media buzz coupled with reaching out through influential bloggers have added a boost to the storytelling.